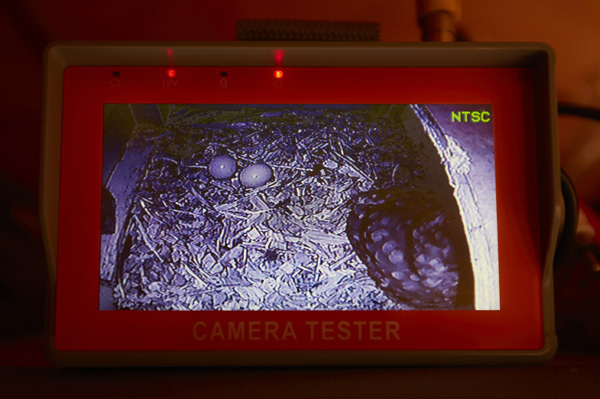 The Little Owl is back on her nest and has currently laid two eggs. This year she has moved into a different tree located just around the back of the hide, which as I understand, is very unusual for these birds to change sites. It may well be that she has had some disturbance from crows or squirrels, who knows, but she seems very happy in the new box. The Little Owl in her nesting chamber with two eggs at the Les Gibbon Photography hide.